Love Online Gambling on the Go? Lucks Mobile Casino is What You’ve Been Waiting For! If you’ve been looking for something new to freshen up your mobile gambling experience, Lucks Casino is definitely worth your time. Besides, you get a £5 free on first deposit required signup bonus, loads of slots for free action, and top casino games entertainment, so you really have nothing to lose. Is there Anything a Mobile Gambling Device Can’t Do? These tiny – but mighty – gadgets have become an integral part of our daily lives and are more than just a communication tool: We use them for banking, buying tickets, making travel plans, set time zones and reminders, and of course – to pass the time by keeping us entertained. Is it any wonder that slots for fun and play for real games have taken the world by storm? While the range of games that are available on our Mobile Casino section might not appear as expensive as the online desktop version, players shouldn’t worry. 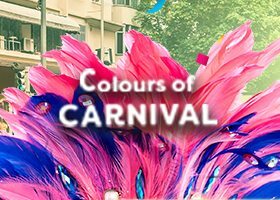 Here, you’ll find an expertly curated list of the top slots games such as Foxin Wins and the Egyptian themed Isis; Scratch Cards featuring Doctor Love and Emperor’s Garden; as well as classic table games like Jacks or Better, Blackjack Bonus, and European Roulette. Use your free welcome bonus to play any of these great games for first-hand experience of what world class mobile casino gaming is really like! Meet the bonus wagering requirements and you might even be able to keep what you win! As one of the top new casino sites of 2015, we at Lucks Casino are proud to offer potential, new, and existing players only the best casino experience: Play slots for fun in demo mode, use free casino no deposit signup bonus, or benefit from the best online bonuses when you play for real money pocketwin. 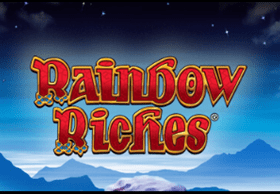 In fact, there are different mobile casino bonuses on offer on pretty much every day of the week: Collect 20 Free Spins on the Monday Madness Promotion; 10% Cashback on Thursdays; or a Spin the Slots Weekend, with loads of other online deposit slots bonus surprises in between. And the best bit is that you can make real money deposits using your phone credit! Yep, that’s right…Lucks Casino supports Pay with Phone Bill casino features meaning that players need only deposit a minimum of £10 to benefit from all this top casino bonuses action. How perfect is that for mobile casino fans who prefer their entertainment to be as flexible as they are?